I actually had this shot planned for about two months such that moonset a full moon and sunrise directly behind my position would coincide at almost exactly the same moment. the one thing not in my control is the weather and alas my plans were somewhat thwarted by low cloud on the northwestern horizon which saw the setting moon disappear a little earlier than I would have liked. 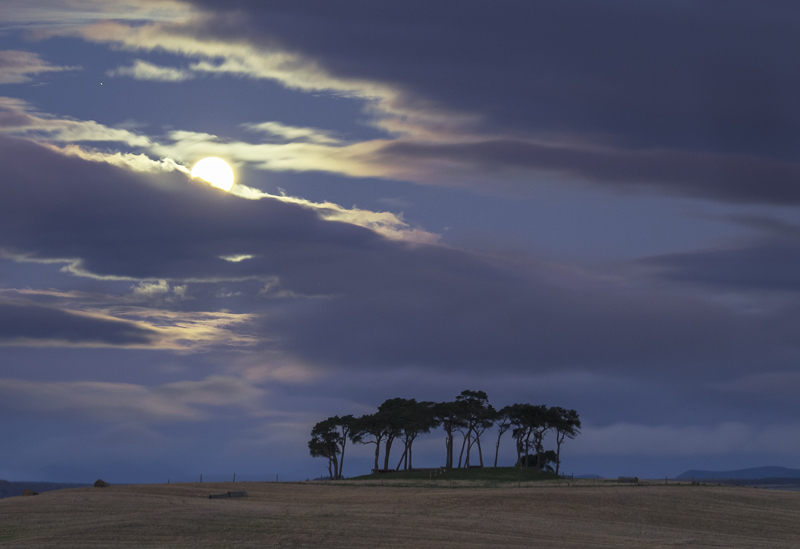 Anyway these are the Gollanfield scots pine copse and the moon is just disappearing into the low cloud for near enough the final time. Sunrise was still half an hour away.